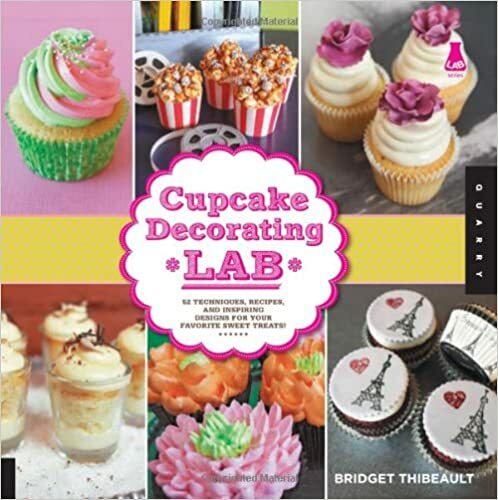 Discover easy, accessible, and fun techniques for making beautifully decorated cupcakes with Cupcake Decorating Lab! This inspiring guide starts out with basic techniques, such as frosting cupcakes with an offset spatula; using a piping bag and tips; flooding cupcake tops with icing; frosting with chocolate ganache; and tinting buttercream. The labs in the book cover a wide variety of exciting decorating techniques, such as how to make sugared and candied fruit and flower garnishes; stamping, stenciling, and piping on fondant; and scroll work, writing, and borders. You’ll also find fun ideas for children, weddings, holidays, entertaining, nature themes, and more. Plus, the author includes all of her favorite cake and icing recipes! Create the most delicious and stylish cupcakes imaginable with Cupcake Decorating Lab!